HubSpot™ has been around for quite a while. With a competitive global presence, they are arguably the most comprehensive and productive marketing platform in the industry. With HubSpot CRM™, you can manage all your customers and business contacts in one place. The HubSpot™ integration on JotForm connects seamlessly to your HubSpot CRM™ account, and automatically syncs your business and customer contacts. 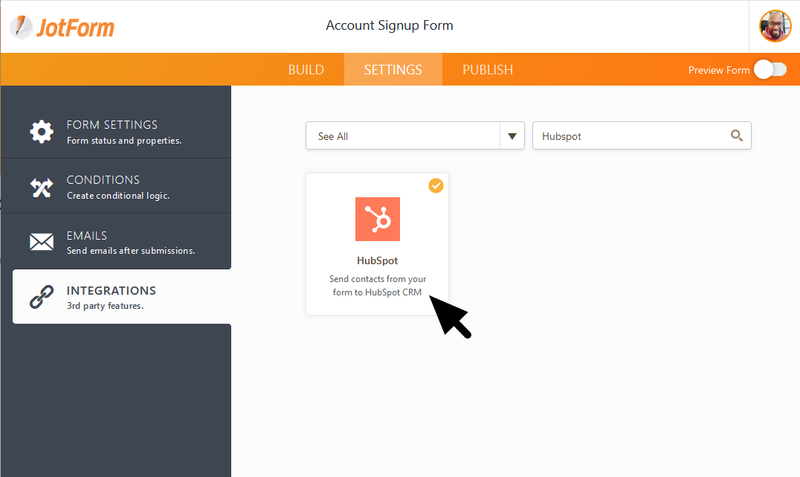 This guide will help you to connect your JotForm to HubSpot, and it should only take a couple of minutes. Everytime you receive your forms, HubSpot CRM™ is automatically synced. Like how it works? Got some feedback? We'd love to hear it, let us know in the comments below.